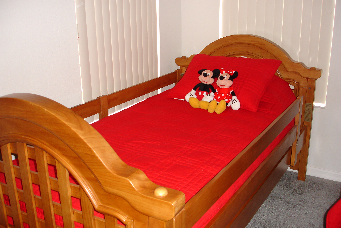 The perfect place for your Mickey and Minnie to recharge their batteries before another exciting day at the parks. 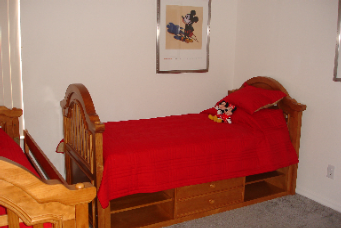 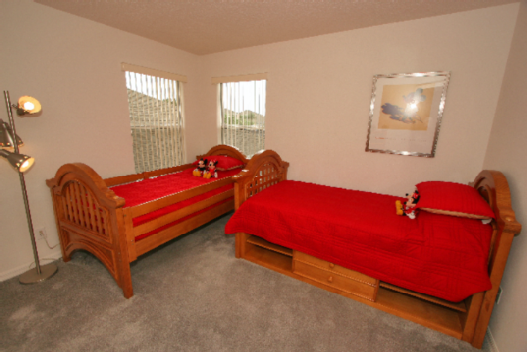 Set upsairs so the Big People don’t disturb their slumber, Mickey’s room has a large storage area and is conveniently beside a bathroom. 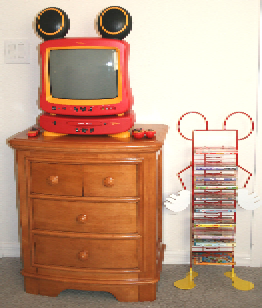 They also have their own Mickey Mouse TV with DVD player and a selection of Disney DVDs, so there can be no arguments over what to watch!